This column will explore the latest developments in equine safety and liability. Topics will vary and I welcome ideas for exploration and research. I will occasionally interview prominent horse people so that our membership receives the most up to date information within our industry. OK, Lets look at the must haves for your own clothing when around and riding horses: long pants, boots that cover the ankle, and a helmet. The first two items are usually no problem. No one wants their legs pinched, and sneakers are déclassé. Lets look then at the “helmet issue” and those two simple rules to remember about them. If you own a horse you must own a helmet. If you cannot locate your helmet, or there isn’t one where you are supposed to ride, don’t ride! Your head is extremely vulnerable. Imagine your brain is some jello in a bowl. What happens when you knock it against the counter? While the first blow may be the hardest, the brain continues to slam against the inside of your skull for some moments after the initial hit. It is these repercussions that can cause brain damage or concussions. Most head injuries occur to riders not wearing helmets. Become so used to having it on that you feel naked without it! Helmet hair is such a small price to pay for saving your brain. There are so many styles available, and I don’t intend to endorse any one in particular. The point is that you can find such good-looking and lightweight ones today; any and all excuses not to wear a helmet are moot. Still have your old hardhat from bygone days hanging around? Consider it a relic and display it in your foyer. Your helmet must have the ASTM/SEI certification. Look for those letters inside yours. ASTM stands for American Society for Testing and Materials. SEI stands for Safety Equipment Institute. In 1988, the ASTM passed new standards (ASTM F-1163) for equestrian helmets that required helmets to meet higher protective capabilities than previous models. This standard is industry wide and replaces the old standard. New helmet models that meet the ASTM standard are then certified by SEI. SEI is a compliance organization responsible for certifying industrial products in the U.S.A. Inside your helmet, you should find the SEI seal, along with the date and the manufacturer’s lot number, and the ASTM seal. Not there? Don’t use it. If you are still saying “yea but…” to yourself, allow me to throw some numbers at you. The National Electronic Injury Surveillance System (NEISS) reported for the calendar year 2000 from 100 hospital emergency rooms across the nation 79,095 riding related injuries. For a list of all the certified helmets available today: Click here. Fact #1: Between 12 to 15 million persons in the United States ride a horse or pony every year. Fact # 2. Approximately 20 percent of horse related injuries occur on the ground and not riding. Fact # 3 Most riding injuries occur during pleasure riding. Fact # 4. The most common reason among riders for admission to hospital and death are head injuries. Fact # 5: A fall from two feet (60 cm) can cause permanent brain damage. 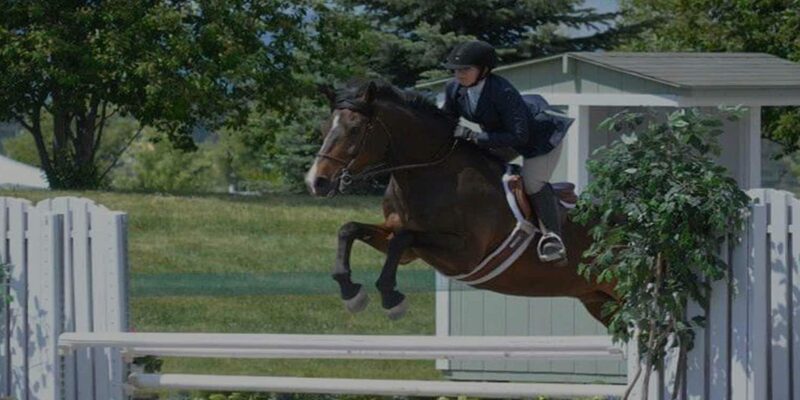 A horse elevates a rider eight feet (three meters) or more above ground. Fact # 6: A human skull can be shattered by an impact of 7-10 kph. Horses can gallop at 65 kph. Fact # 7: According to the National Electronic Surveillance System 1998 the most likely ages for injury is at 5-14, and 25-44 years with each decade having about 20 percent of the injuries. 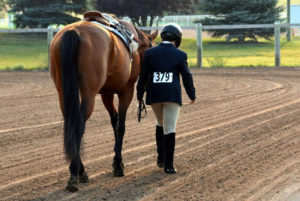 Fact # 8: A rider who has one head injury has a 40 percent chance of suffering a second head injury. Children, teens and young adults are most vulnerable to sudden death from second impact syndrome: severe brain swelling as a result of suffering a second head injury before recovery from the first head injury. Fact # 9: Death is not the only serious outcome of unprotected head injuries. Those who survive with brain injury may suffer epilepsy, intellectual and memory impairment, and personality changes. Fact # 10. Hospital costs for an acute head injury can be in the range of $25000 per day. Lifetime extended care costs may easily exceed $3 million. There is no funding for rehabilitation outside the medical setting. Fact # 11: Helmets work. Most deaths from head injury can be prevented by wearing ASTM (American Society for Testing Materials), SEI (Safety Equipment Institute) approved helmets that fit correctly and have the chinstrap firmly applied. Other types of helmets, including bike helmets, are inadequate. Fact # 12: Racing organizations require helmets and as a result jockeys now suffer less head injuries than pleasure riders. 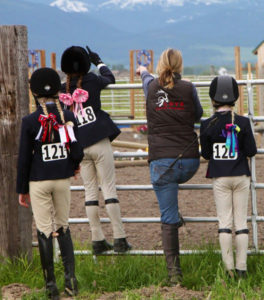 The US Pony Club lowered their head injury rate 29 percent with mandatory helmet use. Britain’s hospital admission rate for equestrians fell 46 percent after helmet design improved and they became in routine use. 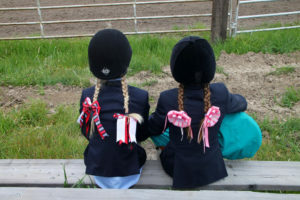 Fact # 13: The American Academy of Pediatrics, The American Medical Association through the Committee on Sports Medicine, Canadian Medical Association, and the American Medical Equestrian Association recommend that approved, fitted and secured helmets be worn on all rides by all horseback riders. NO ONE SHOULD GET ON A HORSE WITHOUT A HELMET!